NEW YORK (Reuters) – Michael Weitz was out of options. The Californian had endured chemotherapy, radiation and surgery but his lung cancer still spread to his bones and brain. He was entered into a Phase I study – the earliest stage of human testing for a new medicine – of crizotinib. The drug works for about 4 percent of advanced lung cancer patients with a mutated form of a protein called ALK. Weitz, now 55, is cancer-free after three years of taking the drug now sold by Pfizer as Xalkori after an unusually swift development process. It typically has taken a decade and $1 billion to bring a new treatment to market. 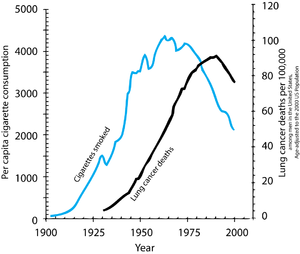 But in the last two years a handful of cancer drugs – including Onyx Pharmaceutical Inc’s Kyprolis for multiple myeloma, Roche’s Zelboraf for melanoma, and Pfizer’s Xalkori – were approved in about half that time because of improved genetic screening, more definitive Phase I trials and the dire need for new, effective treatments. “We hope to be able to shave years off the time it takes to get final approval and save hundreds of millions of dollars per drug,” said Robert Schneider, director of translational cancer research at New York University Cancer Institute. The doctors at Rome’s Bambino Gesu hospital said the operation was carried out last month and made public this week. The baby, whose identity has not been disclosed, was kept alive for 13 days before the transplant and is now doing well. The baby was suffering from dilated myocardiopathy, a heart muscle disease which normally causes stretched or enlarged fibers of the heart. The disease gradually makes the heart weaker, stopping its ability to pump blood effectively. “This is a milestone,” surgeon Antonio Amodeo told Reuters television, adding that while the device was now used as bridge leading to a transplant, in the future it could be permanent. Before the implant, the child also had a serious infection around a mechanical pump that had been fitted earlier to support the function of his natural heart. “From a surgical point of view, this was not really difficult. The only difficulty that we met is that the child was operated on several times before,” he said. The tiny titanium pump weighs only 11 grams and can handle a blood flow of 1.5 liters a minute. 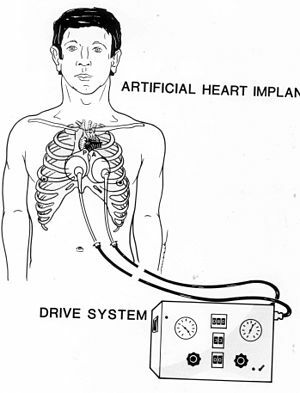 An artificial heart for adults weighs 900 grams. Amodeo said the baby had become family and his team wanted to do everything to help him. “The patient was in our intensive care unit since one month of age. So he was a mascot for us, he was one of us,” the doctor said. “Every day, every hour, for more than one year he was with us. So when we had a problem we couldn’t do anything more than our best,” he said. Doctors said the device, invented by American Doctor Robert Jarvik, had been previously tested only on animals. The hospital needed special permission from Jarvik and the Italian health ministry before going ahead with the procedure.